At first glance, putting the words happiness and work into the same sentence seems to be an oxymoron; a contradiction in terms. But at second glance, there is a natural symbiosis, an inherent sense of belonging to and influence on one another. Work is the place where you spend two-thirds of your day, so being happy there makes logical sense. It is through our work tasks that we bring our personality and authenticity out into the world. We find fulfilment collaborating with our peers, sharing ideas, and coming up with innovative solutions. Why would you want to go to a place of work where you are unhappy every day? Happiness in the workplace should be at the forefront of every organisation’s strategic priority list. Staff happiness and employee retention strategies are not a Human Resources function or something to focus on when problems arise. Rather, every organisation’s success and sustainability is built on the foundation of its people and staff happiness and well-being should therefore play a pivotal role in organisational framework. The Happiness @ Work Programme (H@W) is for companies that walk the talk of honouring their scarce and precious resources, namely their people. H@W brings human capital to the centre focus in companies, and makes it possible for a company to improve bottom-line growth and enhance competitive edge in its respective industry by actively driving the concept of productive, committed and, happy employees. When we raise people’s happiness levels, we have a direct positive influence on individual, team and company potential. Happiness in the workplace is not a “nice to have” but rather a fundamental “must have” business principle that can be measured and managed. H@W is an ideal win-win solution for creating a supportive, sustainable, satisfied workforce. What Is Happiness @ Work? Happiness @ Work is a shift in mind-set which enables people and organisations to bring performance success and happiness into the same sentence. It challenges the debate as to whether success breeds happiness or whether we need happiness to drive success. In the happiness in the workplace concept, we have combined two concepts and believe that they run parallel to one another. Happiness @ Work is a proven concept that supports organisations in driving their strategic goals and growth plans with productive, performing and motivated people. It is about instilling a mind-set which enables people to maximise performance and achieve their optimal potential. The Happiness @ Work model was researched, designed and developed by the iOpener Institute for People and Performance based in Oxford, United Kingdom in 2008. It is based on the science of Positive Psychology which looks to assist people to achieve their potential. One may not be able to put an exact quantifiable Rand value to all the above factors; however, as a guideline, an unhappy middle-positioned employee costs a company on average between R30 000 to R55 000 per year! We find that a shockingly high price to pay, especially if we consider that if there is one unhappy employee there are likely to be more. Happiness in the workplace translates into increased productivity, customer satisfaction, team performance, staff happiness and overall company success. 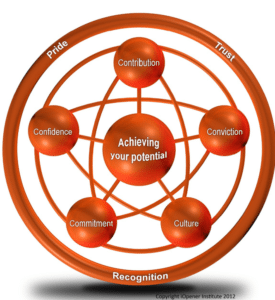 On the outside, we have the three organisational elements of Pride, Trust, and Recognition. The outer layer holds the entire model together with the emphasis on how much your people trust, feel recognised and are proud to be working for your organisation. The second section embraces the five core drivers, also referred to as the 5 Cs. The five Cs are Contribution, Conviction, Culture, Commitment and Confidence. The third centre point shows the outer and inner crescendo in the individual achieving their potential. This is visible through feeling energised, using one’s strengths and skills, learning new concepts and overcoming challenges and actively contributing to the company vision and mission. How is Happiness @ Work rolled-out? We would start a Happiness @ Work Programme with an online assessment for the individual or team. We’ll start off with an individual report and then move onto a team report. The individual assessment is called an iPPQ and comprises of approximately 70 questions that will take 15 to 20 minutes to complete online. Each individual receives a personalised confidential report that shows what their scores are against an aggregated participation population who previously completed a Happiness @ Work assessment. This is very powerful as it compares them to the global village of middle to senior employees. Furthermore, the individual iPPQ report provides a structured approach about their personal performance and happiness within their current work context, diagnosing what factors are impacting them in a positive and negative manner. The report ends with recommendations on how they could shift negative work factor to a positive level. The team assessment begins with all individual team members completing their own iPPQ. The process described in the individual assessment takes place. In addition, we collate the individual team results and present a report to the team which uses a colour-coded robot symbol that indicates the status of a component within the report. No personal information is displayed and statistical data is not presented. We do this for a very specific reason – not allowing the team to go into analysis-paralysis but to stay on a high level of discussion. The focus stays on the team level and exploring solutions to raise the level of happiness with the desire effect of attaining the individual, team and organisation’s potential goals. A bonus is that the team report can be taken a level further and has the power to compare divisions against each other. This is invaluable information for executive and senior leaders looking to drive organisational change and leadership development. At 4Seeds we understand the complexity of people and business. 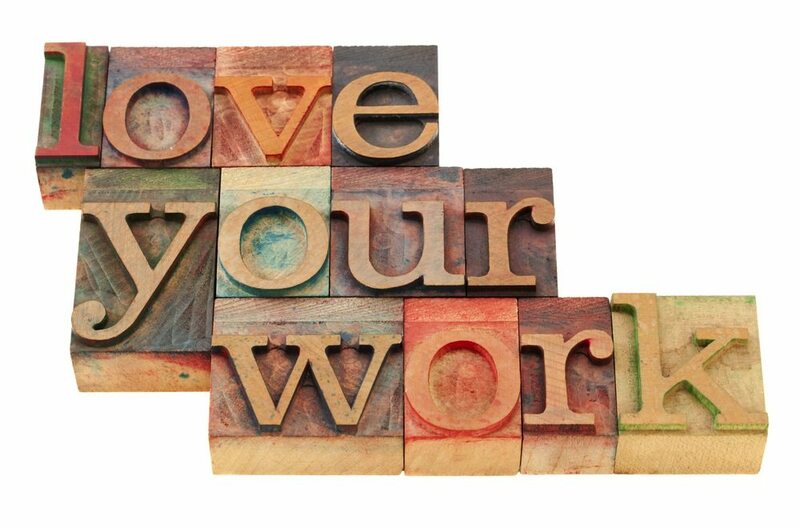 The Happiness @ Work Programme offers a bespoke personal service with a professional and caring team. We are serious about people and apply proven concepts that assess, analyse and shift behaviour. We look to build lasting change in people to ensure that your people are your most rewarding asset. We offer a unique way of quantifying performance by using the company’s own internal data. We give leaders a simple, practical and scientifically tested tool, and the ability to focus on what works while at the same time improving what doesn’t. 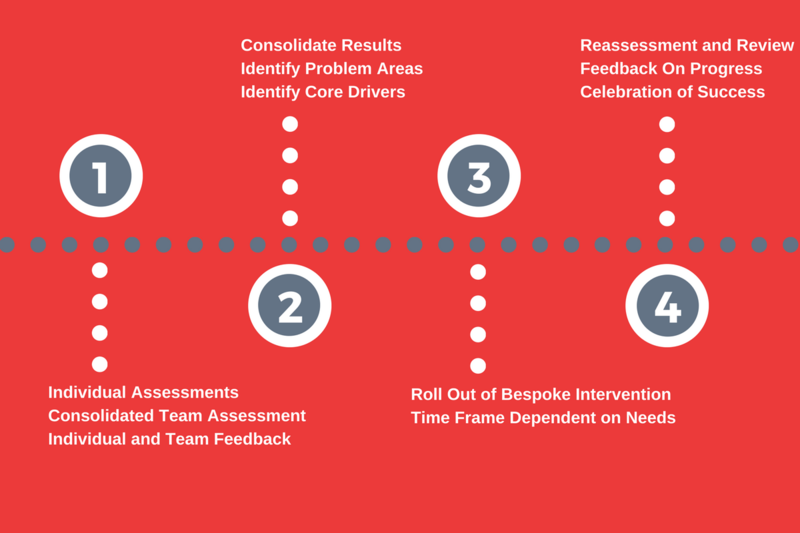 We ensure buy-in and roll-out at all levels and can apply our work to any size of division or team. The best part is that we will demonstrate a return on investment during and after the intervention. We help individuals, teams and companies improve their happiness in their workplace and their performance at work. The Happiness @ Work Programme is very popular within organisations as it instils a common language for people to use and refer to. It’s a simple practical concept that team members easily relate to. In the long-term, this optimises time and builds positive connections among people, which fosters heightened productivity and performance. We have summarised the key benefits of the Happiness @ Work Programme for the organisation, the leader and the team. This triple win-win is like winning a gold medal three times! 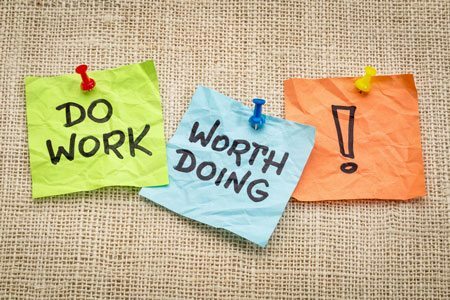 Is Happiness @ Work For You? 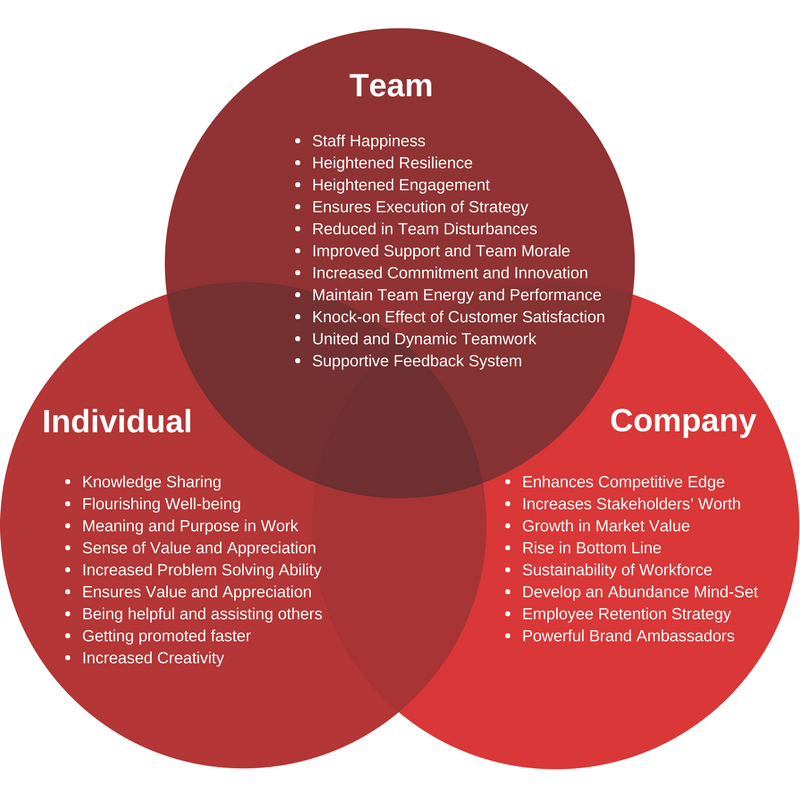 Use a tool to understand company culture and how to effectively change it. If Your Company Or Team Is Looking To Perform Well, And Be Happy At The Same Time.